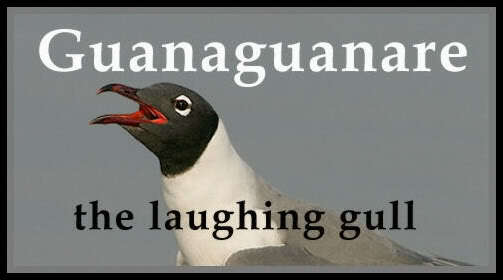 Guanaguanare: the laughing gull: The Real Significance of the Venezuelan Student Protests. The Real Significance of the Venezuelan Student Protests. "...journalists have yet to learn that authoritative reporting requires fact-based accounts, not recycled and unchecked tweets from Twitter – a mechanism that can be used to promote delusion as well as democracy." As the March 5th anniversary of Hugo Chávez's death approaches, there is turmoil in Venezuela. Students have been protesting against the government in nation-wide demonstrations characterised by disorder and violence that have led to the death of three people (Editor's note: That figure has reportedly risen to 13 at the time of publication). Initially organised to protest against economic shortages and insecurity, these demonstrations have been calling for 'la salida' – the exit of President Nicolás Maduro. They have been supported by sections of the opposition alliance, Mesa de la Unidad Democrática (MUD), led by Leopoldo López and Maria Corina Machado. For many commentators – and for the government itself – these events mark a rerun of earlier events, when the opposition pushed for the removal of Chávez through a failed coup in 2002, a private sector lock-out in 2002-3 and a recall referendum against Chávez in 2004. Maria Corina Machado, a signatory to the 2002 'Carmona Decree' that temporarily dissolved the Chávez government, was a key protagonist of the recall referendum. Her 'civil society' organisation, Súmate, received funding from the National Endowment for Democracy in Washington, where she was feted by President George Bush in May 2005. The Chavistas learned a number of lessons from the events of 2002-2004: the importance of consolidating grassroots support (hence, the launch of the social policy initiative, the Missions); the need to build regional solidarity (hence, the acceleration of regional integration initiatives such as the ALBA); the capacity of the private sector to paralyse economic activity (hence, the deepening of the state's role in the economy); and the urgency of countering false reporting on the country (hence, the funding of community and public media and new regulatory codes for broadcasting). It was this period that was the catalyst for the transformation of an initially centrist Third Way project into Socialism of the Twenty First Century. The opposition similarly absorbed lessons, after anti-government unions, business associations and the local Roman Catholic Church failed to galvanise public opinion behind regime change in 2002. It adopted an electoral path as the balance of power swung to moderate factions, and radicals associated with unconstitutional tactics were pushed to the margins. 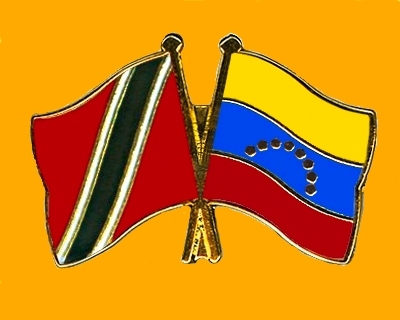 This reaped dividends in national and regional elections after 2008 as the MUD focused on bread-and-butter voter concerns and wooedChavistas alienated by the government's statist lurch with soothing language of reconciliation and promises to improve, rather than remove, the benefits delivered by the Missions. At the same time, the protagonist role of the private sector media was gradually tempered by introduction of European-style broadcast regulations. US-based lobbies antagonistic toward the advance of Chávez's socialism (and sympathetic to marginalised radicals) no longer saw these elements of 'civil society' as an effective oppositional vehicle and jettisoned them, deciding that a new tool for regime displacement had to be nurtured. Students in private sector universities became the new vanguard of 'democracy promotion'. In 2008, the US-based Cato Institute awarded the US$500,000 Milton Friedman Prize for Advancing Liberty to student leader Yon Goicoechea for his role in mobilising protests against the suspension of private broadcaster RCTV's licence. At the same time, a sizeable amount of the US$45 million in funding provided annually by US institutions to Venezuelan opposition groups was channelled to 'youth outreach' programmes. With financial support and media training, Venezuela's student and opposition-aligned Juventud Activa Venezuela Unida (JAVU) became vociferous and mobilised, focusing after 2010 on the alleged censorship by the state of private sector broadcasters  and on government legislation intended to democratise the administration of the universities. The latter was portrayed as a threat to university autonomy and some public institutions, such as the Universidad Central de Venezuela, were driven into the opposition camp. In 2011 JAVU activists staged a hunger strike in support of 'political prisoners'  and demanded that the Organisation of American States should intervene. Protests in 2012 focused on underfunding in the higher education sector and in 2013 demonstrations were organised outside the Cuban Embassy, first to demand the return of Chávez from chemotherapy in Havana and then to challenge the result of the April presidential election. Given this history of protest, why have the current protests gained such significance? The current protests are important on two counts. First, they mark a coming together of the student movement and radical elements of the MUD. López and Machado have been organising with the student leadership, in particular in relation to the February 12th demonstrations on Venezuela's Day of the Youth, which commemorates the role of young people in the 1814 independence battle of la Victoria. Frustrated by the slow dividends of the electoral route, López and Machado are challenging the position of Henrique Capriles as MUD leader, even though he defeated them both in the MUD's 2012 primaries. As Capriles in recent weeks has nudged closer toward dialogue with President Maduro on the issue of public security, following January's murder of former Miss Venezuela Monica Spear, the uncompromising López and Machado have sought to open a chasm between Capriles and grassroots anti-government sentiment. In turn, the student movement has embraced the 'salida' demand of López and Machado, threatening to stay on the streets until Maduro leaves office. This is against a backdrop of growing tension, with ongoing raids by security forces on private sector warehouse facilities, where food and goods are allegedly being hoarded to create artificial shortages, and with the interception of a recorded conversation between a former Venezuelan ambassador and a vice-admiral where plans for violence and 'something similar to April 11th' were being discussed. The second distinctive aspect relates to the role of social media. Although mobilisations and related violence have been on-going, with two student deaths in 2010, they have not received the same level of attention as the protests earlier this month. One indication of an orchestrated campaign has been the frenzied activity by opposition youth on Twitter, which seems to be substituting for the once vociferous but now calmer private sector mediathat could traditionally be relied upon to galvanise international attention. Despite claims that social media 'democratises' the media, it is clear that in Venezuela it has had the opposite effect, exacerbating the trend towards disinformation and misrepresentation, with overseas media groups and bloggers reproducing – without verification – opposition claims and images of student injuries allegedly caused by police brutality and attacks by government supporters. In its reporting, the Guardian newspaper cited tweets by opposition activists claiming pro-government gangs had been let loose on protestors. No evidence to substantiate this extremely serious allegation was provided. It also reported on the arrest of 30 students on 12th February, following serious disorder, including barricade building, tyre burning and Molotov cocktail attacks, as if it were an egregious assault on human rights. The report was subsequently tweeted by Machado. By way of context, 153 students were arrested in the UK during the 2010 protests against tuition fees. The images disseminated, for example, to a Green Movement activist in Iran and then circulated to her thousands of followers with the tag line 'pray for Venezuela's students', and to other democracy movements around the world show Egyptian and not Venezuelan police beating demonstrators. This same image was carried by the Spanish newspaper ABC. Photographs and video clips of Chilean, Argentinian and Bulgarian police suppressing demonstrators and carrying out arrests (in their home countries) have been circulated and published as of they were assaults in Venezuela, and one widely reproduced image shows Venezuela's Policia Metropolitana corralling student protestors. The Policia Metropolitana was disbanded in 2011. Twitter has additionally been used to harangue commentators, including this author, who checked the accounts of her abusive critics to find most had only been tweeting for a day and in that space of time had accumulated around 40,000 followers. Capriles has been steering the opposition down the electoral path in recognition of the fact that ordinary voters are alienated by violent protest and disorder. It has been widely acknowledged that such a strategy will take time to produce results, but it allows the MUD to build an electoral base and credibility as a political alternative. This hard work will be undone by a return to unconstitutional activities. The students and MUD radicals offer no governance plan, with 'salida' serving as a hash tag, not a strategy, according to one opposition blogger. Just as in 2002, radicals have forgotten that the people they must convince are Venezuelan voters, not international opinion. There can be no short cut to replacing a movement and government that is genuinely popular. Attempting to induce regime overthrow is unnecessary when the option of a recall referendum is available, and it is irresponsible when the outcome of violent change will only be a cycle of violent revenge. Finally, journalists have yet to learn that authoritative reporting requires fact-based accounts, not recycled and unchecked tweets from Twitter – a mechanism that can be used to promote delusion as well as democracy. "Aló Twittersphere!" to all the rocking robins going, "Tweet, tweet, tweet." Very well. Excellent that you are saying this. In a democracy this is done via elections where you are free to allow the voice of the majority to decide who will lead you. But wait, even better, a recall mechanism was introduced into Venezuelan law in 1999 under President Chávez. So you must be aware that your new Constitution, drafted by the National Constituent Assembly (ANC) and sanctioned by the electorate in a referendum, allows for a recall referendum. "Article 72: All [...] offices filled by popular vote are subject to revocation. Once one-half of the term of office to which an official has been elected has elapsed, a number of voters representing at least 20% of the registered voters in the affected constituency may petition for the calling of a referendum to revoke that official's mandate. When a number of voters equal to or greater than the number of those who elected the official vote in favour of the recall, provided that a number of voters equal to or greater than 25% of the total number of registered voters vote in the recall referendum, the official's mandate shall be deemed revoked and immediate action shall be taken to fill the permanent vacancy as provided for by this Constitution and by law." So if you think that President Maduro and his government are inefficient, get busy. Mobilise to vote them out, or petition a recall. Spreading exaggerations and lies, hamming it up and prancing around for an often disoriented and therefore Twibbon addicted international audience only gets thinking people suspicious about your agenda. 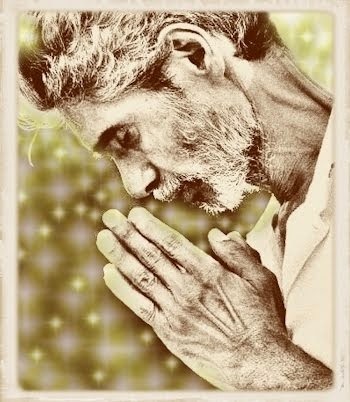 We will begin to respect you only when you show that you can peacefully and lawfully take care of your own business.... under your own steam and at home.